Sherelle has lectured at the University of Queensland in music history and compositional techniques, and at national conferences, and has adjudicated eisteddfods and prizes. She has given numerous Pre-Concert Talks for The Queensland Symphony Orchestra and Queensland Philharmonic Orchestra and has reviewed classical concerts for The Courier Mail. 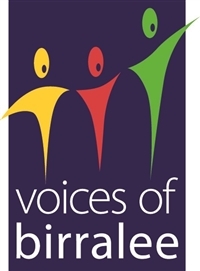 Sherelle composes children’s choral pieces that have been performed by children’s choirs across Australia, several of which are published in Mark O’Leary’s Young Voices of Melbourne Choral Series. Her choral songs have been sung at Out of the Box Festival, Brisbane 2012­; The State Choral Festival of Victoria, 2011; The Next Generation Sings Festival, Gold Coast 2012; and Young Voices Choral Festival; and have won first prize in the Under 12s Championships at the National Choral Eisteddfod, Canberra 2012. Further performances include Junior Gondwana (Sydney Children’s Choir) at the Summer Music Camps, January 2013; and chosen set choral piece of the National Choral Eisteddfod, Canberra, 2013 and the Western Australia Massed Choirs Festival 2014; and she has been commissioned by Brisbane Grammar School for the Pemulwuy Male Voice Festival 2014. Heather Percy is an Australian composer and music educator based in Canberra, Australia. She holds a Bachelor of Music Education from the Sydney Conservatorium of Music and a Masters of Music (first class honours) from the Conservatorium of Music, Melbourne University. 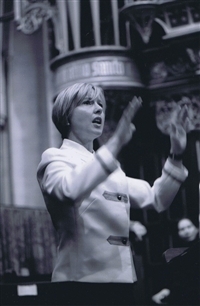 In 2005 Heather was awarded the Dame Roma Mitchell Churchill Fellowship for Excellence in the Performing Arts and she travelled to the United Kingdom studying choral programs and traditions established in prominent Cathedral Schools and Colleges. During this Fellowship Heather worked with some of the most outstanding English Choral Director’s including Dr David Hill, Stephen Cleobury, Malcolm Archer and Ralph Allwood MBE. As a choral director, Heather’s choirs have won numerous awards including the Australasian Choral Championships and she has conducted in some of the most prestigious venues including Westminster Abbey, St George’s Chapel and Christchurch Cathedral in the United Kingdom and La Madeleine and Notre Dame in France. Her choirs have also represented Australia at ANZAC Day services and commemorations in London and in the Somme, France. Spurred on from winning the RSCM Choral Composition Competition in 2013, Heather began to focus more seriously on her composing skills. She launched her website heatherpercymusic.com in April 2015 and since then her music has been presented at various workshops and conferences across Australia, she has completed commissions for choirs and instrumental ensembles and she has sold music nationally and internationally. Heather has music published in the Young Voices of Melbourne Choral Series by Mark O’Leary and has also been a resource writer for the Sydney Symphony Orchestra’s ‘Meet The Music’ education program.